These two 1.5T MRI models have a lot in common which can make a decision a bit more complicated. 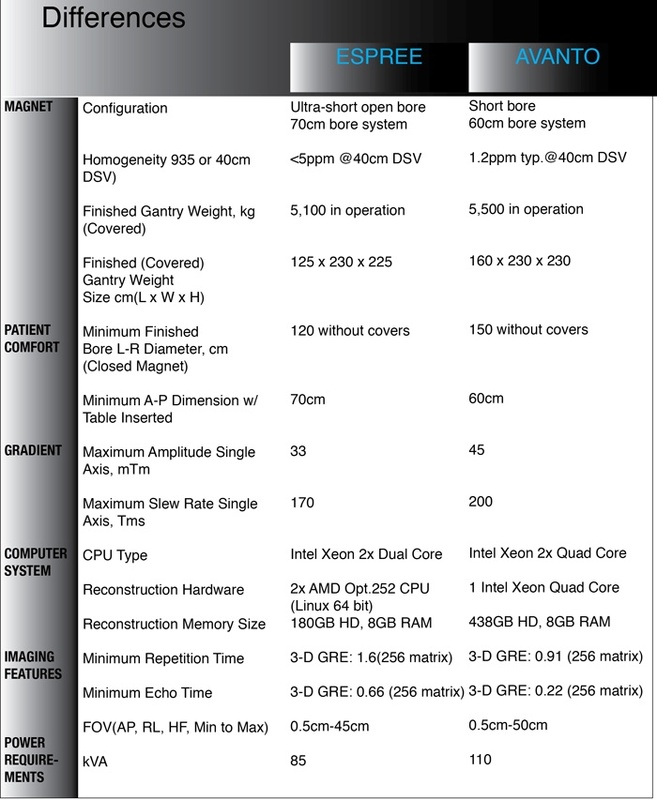 So how do you choose what option will fit your needs? The Espree 1.5T is finding its way on the secondary market. 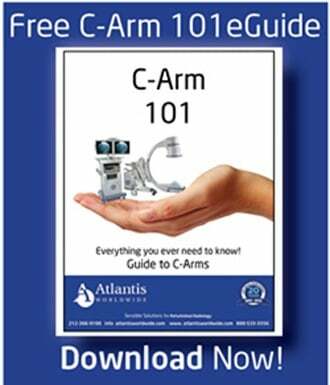 This system has an ultrashort bore that easily gives patients more comfort. It also allows for multiple coils to be connected for multiple simultaneous studies. 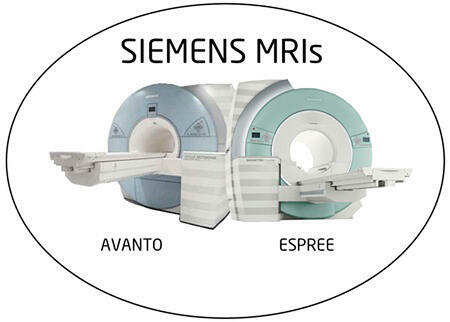 The Avanto MRI is also on the secondary market and a bit more affordable. Both Siemens’ MRIs are fantastic systems and would be a great addition or upgrade to many hospitals and imaging centers. The Espree 70cm bore is what makes it an attractive system for patient comfort and popularity. The Espree is a little more difficult to find pre-owned and also more expensive, because of higher demand. The Avanto has many of the same features as you can see above and also is less expensive. 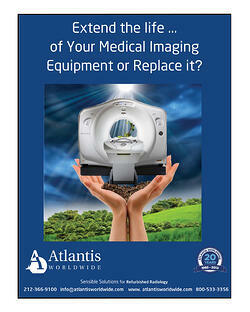 At Atlantis Worldwide, we’re always here to help with your refurbished MRI needs. To find out more, contact one of our experts today.